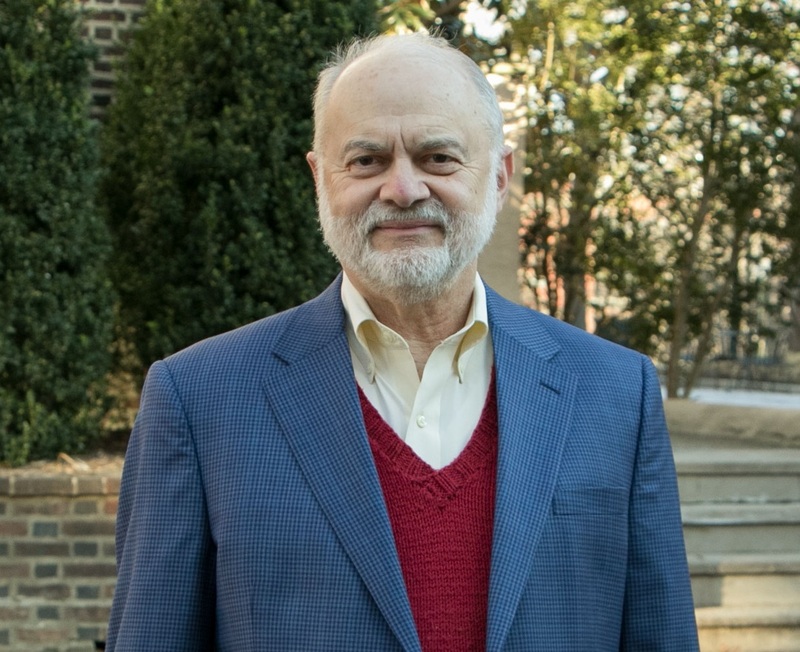 David Zarefsky, a longtime scholar of rhetoric and oratory at Northwestern University, has been named a visiting scholar at the Annenberg Public Policy Center for the spring 2018 term. Zarefsky, a professor emeritus in communication studies at Northwestern, is writing a book on a speech given by President Lyndon B. Johnson nearly 50 years ago, on March 31, 1968, in which Johnson described steps to limit the war in Vietnam and announced that he would not be seeking reelection. The much-anticipated speech, which shifted in tone and substance as it was written and rewritten, was delivered against a complex backdrop of political, military, economic and social events and expectations. The Viet Cong and the North Vietnamese Army had launched the Tet Offensive in January 1968 against cities and towns in South Vietnam, stunning the American and South Vietnamese armies. The unexpected surge had a jarring effect on the American public, which had been told the war was going well, and for the first time support for the war fell below 50 percent. The attacks delayed Johnson’s planned address, and created uncertainty and apprehension among his advisors and speechwriters. In addition, Gen. William Westmoreland, commander of the U.S. forces in Vietnam, was pressing for an additional 206,000 troops, a 40 percent increase, according to information leaked to The New York Times. There were troubles on the political and economic fronts, too. Weeks earlier, in the first presidential primary, in New Hampshire, Minnesota Sen. Eugene McCarthy mounted an unexpectedly strong challenge to Johnson on the Democratic ballot, winning 42 percent to Johnson’s 50 percent. And the war was draining American gold reserves. Johnson wanted a tax increase to pay for the war but Congress demanded budget cuts. Though it made the headlines, Johnson’s reelection announcement was almost an add-on to the speech, Zarefsky said. (And it was, incidentally, the last time that an incumbent president eligible for reelection has declined to run.) The Vietnam speech went through 11 drafts, the first six of them hawkish. Only in the seventh, called the first “alternate version,” did it start to make a subtle shift toward seeking a peaceful resolution without repudiating military action. In the speech, Johnson said that he would send more than 13,000 additional troops to Vietnam. But read against the expectation that Westmoreland had sought many more, it was seen as Johnson “putting a lid on the American presence in Vietnam,” Zarefsky said. Zarefsky, formerly Dean of the School of Speech at Northwestern, is a former president of the National Communication Association and a former president of the Rhetoric Society of America. His studies have been centered around rhetorical history and criticism, argumentation and debate, and he has written extensively about two periods of U.S. history: Pre-Civil War and the 1960s. For more on his background click here.